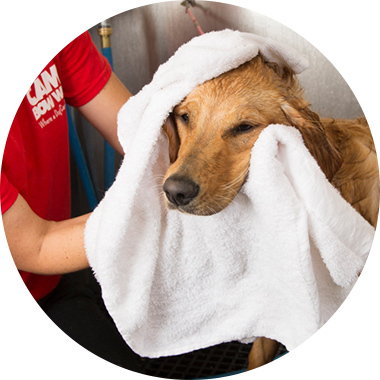 Contact us at (405) 359-7297 to learn more about our dog grooming services. Full service grooming varies by breed. Please inquire about pricing.